vCAN Archives - VIRTUALIZATION IS LIFE! It seems that with the announcement last week that VMware was offloading vCloud Air to OVH people where again asking what is happening with vCloud Director….and the vCloud Air Network in general. While vCD is still not available for VMware’s enterprise customers, the vCloud Director platform has officially never been in a stronger position. Those outside the vCAN inner circles probably are not aware of this and I still personally field a lot of questions about vCD and where it sits in regards to VMware’s plans. Apparently the vCloud Team has again sought to clear the air about vCloud Director’s future and posted this fairly emotive blog post overnight. We are pleased to confirm that vCloud Director continues to be owned and developed by VMware’s Cloud Provider Software Business Unit and is the strategic cloud management platform for vCloud Air Network service providers. VMware has been and continues to be committed to its investment and innovation in vCloud Director. With the recent release of vCloud Director 8.20 in February 2017 VMware has doubled down on its dedication to enhancing the product, and, in addition, is working to expand its training program to keep pace with the evolving needs of its users. In December 2016 we launched the Instructor Led Training for vCloud Director 8.10 (information and registration link) and in June 2017 we are pleased to be able to offer a Instructor Led Training program for vCloud Director 8.20. Again, this is exciting times for those who are running vCloud Director SP and those looking to implement vCD into their IaaS offerings. It should be an interesting year and I look forward to VMware building on this renewed momentum for vCloud Director. 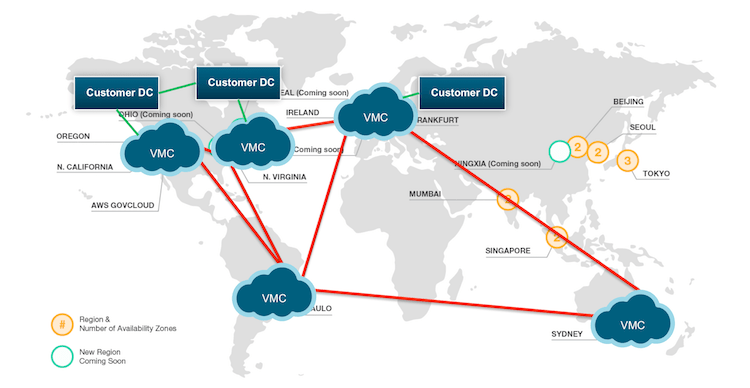 There are many people blogging about vCD again which is awesome to see and it gives everyone in the vCloud Air Network an excellent content from which to leach from. The vCloud Director Team also has a VMLive session that will provide a sneak peek at vCloud Director.Next roadmap. 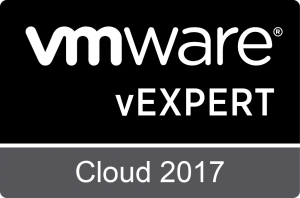 So if you are not a VMware Partner Central member and work for a vCloud Air Network provider wanting to know about where vCD is heading…sign up. I’ve just spent the last fifteen minutes looking back through all my posts on vCloud Air over the last four or five years and given yesterday’s announcement that VMware was selling what remains of vCloud Air to OVH Going over the content I thought it would be pertinent to write up one last piece on VMware’s attempt to build a public cloud that tried compete against the might of AWS, Azure, Google and the other well established hyper-scalers. Project Zephyr was first rumoured during 2012 and later launched as VMware Cloud Hybrid Services or vCHS…and while VMware pushed the cloud platform as a competitor to the hyper-scalers, the fact that it was built upon vCloud Director was probably one of it’s biggest downfalls. That might come as a shock to a lot of you reading this to hear me talk bad about vCD, however it wasn’t so much the fact that vCD was used as the backend, it was more what the consumer saw at the frontend that for me posed a significant problem for it’s initial uptake. VMworld – Where is the Zephyr? It was the perfect opportunity for VMware to deliver a completely new and modern UI for vCD and even though they did front the legacy vCD UI will a new frontend it wasn’t game changing enough to draw people in. It was utilitarian at best, but given that you only had to provision VMs it didn’t do enough to show that the service was cutting edge. Obviously the UI wasn’t the only reason why it failed to take off…using vCD meant that vCloud Air was limited by the fact that vCD wasn’t built for hyper-scale operations such as individual VM instance management or for platform as a service offerings. The lack of PaaS offerings in effect meant it was a glorified extension of existing vCloud Air Network provider clouds…which in fact was some of the key messaging VMware used in the early days. The use of vCD did deliver benefits to the vCloud Air Network and in truth might have saved vCD from being put on the scrapheap before VMware renewed their commitment to develop the SP version which has resulted in a new UI being introduced for Advanced Networking in 8.20. There was no hiding the fact that vCloud Air was struggling to gain traction world wide and even as other zones where opening around the world it seemed like VMware where always playing catchup with the hyper-scalers…but the reality of what the platform was meant that there never a chance vCloud Air would grow to rival AWS, Azure and others. By late 2015 there was a joint venture between EMC’s Virtustream and VMware vCloud Air that looked to join the best of both offerings under the Virtustream banner where they looked to form a new hybrid cloud services business but the DELL/EMC merger looked to get in the way of that deal and by December 2015 the idea has been squashed. 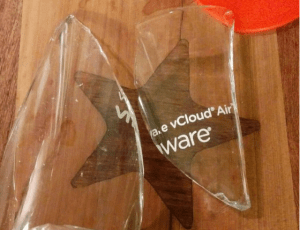 vCloud Air and Virtustream – Ok…So This Might Not Happen! It appeared from the outside that vCloud Air never recovered from that missed opportunity and through 2016 there where a number of announcements that started in March when it was reported that vCloud Air Japan was to be sold to the company that was effectively funding the zone and effectively closed down. HOTP: vCloud Air Japan to be Shutdown! Then in June VMware announced that Credit Card payments would no longer be accepted for any vCloud Air online transactions and that the service had to be bought with pre purchased credits through partners. For me this was the final nail in the coffin in terms of vCloud Air being able to compete in the Public Cloud space. From this point forward the messaging for the use case of vCloud Air had shifted to Disaster Recovery services via the Hybrid Cloud Manager and vSphere Replication services that where built to work directly from vSphere to vCloud Air endpoints. 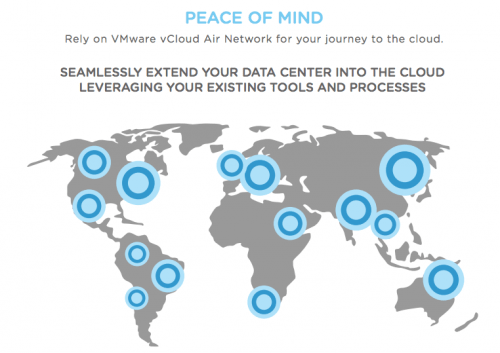 Stepping back, just before VMworld 2014, VMware announced the rebranding of vCHS to what is now called vCloud Air and also launched the vCloud Air Network. Myself and others where pretty happy at the time that VMware looked to reconnect with their service provider partners. With the announcement around the full rebranding of vCHS to vCloud Air and Transforming the VSPP and vCloud Powered programs to the vCloud Air Network it would appear that VMware has in fact gone the other way and recommitted their support to all vCloud Server Providers and has even sort out to make the partner relationship stronger. The premise being that together, there is a ready made network (Including vCloud Air) of providers around the world ready to take on the greater uptake of Hybrid Cloud that’s expected over the next couple of years. So while vCloud Air existed VMware acknowledged that more success was possible through support the vCloud Air Network ecosystem as the enabler of hybrid cloud services. To say that I’ve had a love hate relationship with the idea of VMware having a public cloud is reflected in my posts over the years. In truth myself and others who formed part of the vCloud Air Network of VMware based service providers where never really thrilled about the idea of VMware competing directly against their own partners. I would now say that many would be glad to see it handed over to OVH…because now VMware does not compete against it’s vCAN Service Providers directly, but can continue to hopefully focus on enabling them with the best tools to power their own cloud or provider platforms and help the network grow successfully as what the likes of OVH, iLand, Zettagrid and others have been able to so. Pat Gelsinger statement in regards to the sale to OVH are very postive for the vCloud Air Network and I believe for VMware hybrid cloud vision that it revealed at VMworld last year can now proceed without this lingering in the corner. The VMware vCloud blog here talks about what OVH will bring to the table for the customers that remain on vCloud Air. Overall it’s extremely positive for those customers and they can take advantage of the technical ability and execution of the vCloud Air Networks leading service provider. Overall I think this is a great move by VMware and will hopefully lead to the vCloud Air Network becoming stronger…not weaker. Looking Beyond the Hyper-Scaler Clouds – Don’t Forget the Little Guys! I’ve been on the road over the past couple of weeks presenting to Veeam’s VCSP partners and prospective partners here in Australia and New Zealand on Veeam’s Cloud Business. Apart from the great feedback in response to what Veeam is doing by way of our cloud story I’ve had good conversations around public cloud and infrastructure providers verses the likes of Azure or AWS. Coming from my background working for smaller, but very successful service providers I found it almost astonishing that smaller resellers and MSPs seem to be leveraging the hyper-scale clouds without giving the smaller providers a look in. On the one hand, I understand why people would choose to look to Azure, AWS and alike to run their client services…while on the other hand I believe that the marketing power of the hyper-scalers has left the capabilities and reputation of smaller providers short changed. You only need to look at last week’s AWS outage and previous Azure outages to understand that no cloud is immune to outages and it’s misjudged to assume that the hyper-scalers offer any better reliability or uptime than the likes of providers in the vCloud Air Network or other IaaS providers out there. That said, there is no doubt that the scale and brain power that sits behind the hyper-scalers ensures a level of service and reliability that some smaller providers will struggle to match, but as was the case last week…the bigger they are, the harder they fall. The other things that comes with scale is the ability to drive down prices and again, there seems to be a misconception that the hyper-scalers are cheaper than smaller service providers. In fact most of the conversations I had last week as to why Azure or AWS was chosen was down to pricing and kickbacks. Certainly in Azure’s case, Microsoft has thrown a lot into ensuring customers on EAs have enough free service credits to ensure uptake and there are apparently nice sign-up bonuses that they offer to partners. During that conversation, I asked the reseller why they hadn’t looked at some of the local VCSP/vCAN providers as options for hosting their Veeam infrastructure for clients to backup workloads to. Their response was, that it was never a consideration due to Microsoft being…well…Microsoft. The marketing juggernaut was too strong…the kickbacks too attractive. After talking to him for a few minutes I convinced him to take a look at the local providers who offer, in my opinion more flexible and more diverse service offerings for the use case. Not surprisingly, in most cases money is the number one factor in a lot of these decisions with service uptime and reliability coming in as an important afterthought…but an afterthought non-the less. I’ve already written about service uptime and reliability in regards to cloud outages before but the main point of this post is to highlight that resellers and MSP’s can make as much money…if not more, with smaller service providers. It’s common now for service providers to offer partner reseller or channel programs that ensure the partner gets decent recurring revenue streams from the services consumed and the more consumed the more you make by way of program level incentives. I’m not going to do the sums, because there is so much variation in the different programs but those reading who have not considered using smaller providers over the likes of Azure or AWS I would encourage to look through the VCSP Service Provider directory and the vCloud Air Network directory and locate local providers. From there, enquire about their partner reseller or channel programs…there is money to be made. Veeam (and VMware with the vCAN) put a lot of trust and effort into our VCSPs and having worked for some of the best and know of a lot of other service provider offerings I can tell you that if you are not looking at them as a viable option for your cloud services then you are not doing yourself justice. The cloud hyper-scalers are far from the panacea they claim to be…if anything, it’s worthwhile spreading your workloads across multiple clouds to ensure the best availability experience for your clients…however, don’t forget the little guys! 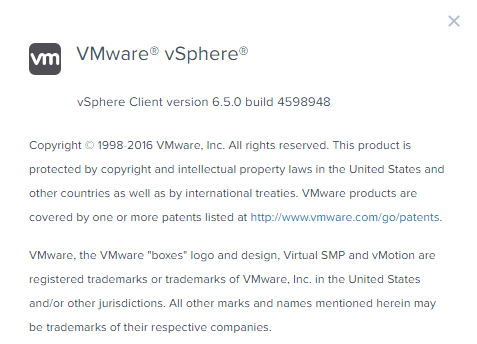 Last week after an extended period of development and beta testing VMware released vSphere 6.5. 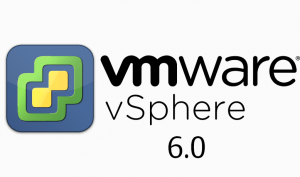 This is a lot more than a point release and is a major major upgrade from vSphere 6.0. In fact, there is so much packed into this new release that there is an official whitepaper listing all the features and enhancements that had been linked from the release notes. I thought I would go through some of the key features and enhancements that are included in the latest versions of vCenter and ESXi and as per usual I’ll go through those improvements that relate back to the Service Providers that use vSphere as the foundation of their Managed or Infrastructure as a Service offerings. Generally the “whats new” would fit into one post, however having gotten through just the vCenter features it became apparent that this would have to be a multi-post series…this is great news for vCloud Air Network Service Providers out there as it means there is a lot packed in for IaaS and MSPs to take advantage of. Without question the enhancements to the VCSA stand out as one of the biggest features of 6.5 and as mentioned in the whitepaper, the installer process has been overhauled and is a much smoother, streamlined experience than with previous versions. It’s also supported across more operating systems and the 6.5 version of vCenter now surpasses the Windows version offering the migration tool, native high availability and built in backup and restore. One interesting sidenote to the new VCSA is that the HTML5 vSphere Client has shipped, though it’s still very much a work in progress as a lot of unsupported functionality mentioned in the release notes…there is lots of work to do to bring it up to parity with the Flex Web Client. In terms of the inbuilt PostGreSQL database I think it’s time that Service Providers feel confident in making the switch away from MSSQL (which was the norm with Windows based vCenters) as the enhanced VCSA Management Interface (found on port 5480) has a new monitoring screen showing information relating to disk space usage and also provides a way to gracefully start and stop the database engine. Other vCenter enhancements that Service Providers will make use of is the High availability feature which is something a lot of people have been asking for a long time. For me, I always dealt with the no HA constraint in that vCenter may become unavailable for 5-10 minutes during maintenance or at worse an extended outage while recovering from a VM or OS level failure. Knowing that hosts and VMs are still working and responding with vCenter down leaving only core management functionality unavailable it was a risk myself and others were willing to take. However, in this day of the always on datacenter it’s expected that management functionality be as available at IaaS services…so with that, this HA feature is well welcomed for Service Providers. This native HA solution is available exclusively for the VCSA and the solution consists of active, passive, and witness nodes that are cloned from the existing vCenter Server instance. The HA cluster can be enabled, disabled, or destroyed at any time. There is also a maintenance mode that prevents planned maintenance from causing an unwanted failover. The VCSA Migration Tool that was previously released in 6.0 Update 2m is shipped in the VCSA ISO and can be used to migrate from Windows based 5.5 vCenter’s to the 6.5 VCSA. Again this is something that more and more service providers will take advantage of as the reliance on Windows based vCenters and MSSQL becomes more and more something that’s unwanted from a manageability and cost point of view. Throw in the enhanced features that have only been released for the VCSA and this is a migration that all service providers should be planning. To complete the move away from any Windows based dependencies the vSphere Update Manager has also been fully integrated into the VCSA. VUM is now fully integrated into the Web Client UI and is enabled by default. For larger environments with a large numbers of hosts AutoDeploy is now fully manageable from the VCSA UI and doesn’t require PowerCLI to manage or configure it’s options. There is a new image builder included in the UI that can hit local or public repositories to pull images or drivers and there are performance enhancements during deployments of ESXi images to hosts. Shifting from new features and enhancements to an important subject to talk about when talking service provider platform…VMware product compatibility. For those vCAN Service Providers running a Hybrid Cloud you should be running a combination of vCloud Director SP or/and NSX-v of which, at the moment there is no support for either in vSphere 6.5. No compatible versions of NSX are available for vSphere 6.5. If you attempt to prepare your vSphere 6.5 hosts with NSX 6.2.x, you receive an error message and cannot proceed. I haven’t tested to see if vCloud Director SP will connect and interact with vCenter 6.5 or ESXi 6.5 however as it’s not supported I wouldn’t suggest upgrading production IaaS platforms until the interoperability matrix’s are updated. At this stage there is no word on when either product will support vSphere 6.5 but I suspect we will see NSX-v come out with a supported build shortly…though I’m expecting vCloud Director SP to no support 6.5 until the next major version release, which is looking like the new year. Having read through the release notes, there are also a number of known issues you should be aware of. I’ve gone through those and pulled the ones I consider the most likely to be impactful to IaaS platforms. If your vSphere environment includes NSX and clusters configured with vSphere High Availability, after you upgrade to vCenter Server 6.5, both NSX and vSphere High Availability start installing VIBs on all hosts in the clusters. This might cause installation of NSX VIBs on some hosts to fail, and you see the hosts as Not Ready in the NSX UI. Workaround: Use the NSX UI to reinstall the VIBs. 400 An Error occurred from SSO. urn:oasis:names:tc:SAML:2.0:status:Requester, sub status:nullWorkaround: Close the browser or the browser tab and log in again. This issue occurs when you select a datastore that is part of a SDRS-disabled datastore cluster in any of the New Virtual Machine, Clone Virtual Machine (to virtual machine or to template), or Deploy From Template wizards. When you arrive at the the Ready to Complete page and click Finish, the wizard remains open and nothing appears to occur. The Datastore value status for the virtual machine might display “Getting data…” and does not change.Workaround: Use the vSphere Web Client for placing virtual machines on SDRS-disabled datastore clusters. These are just a few, that I have singled out…it’s worth reading through all the known issues just in case there are any specific issues that might impact you. In the next post in this vSphere 6.5 for Service Providers series I will cover, more vCenter features as well as ESXi enhancements and what’s new in Core Storage. Note: These initial opinions are just that. There has been a fair bit of Twitter reaction over the announcement, with the majority being somewhat negative towards the VMware strategy. There are a lot of smart guys working on this within VMware and that means it’s got technical focus, not just Exec/Board strategy. There is also a lot of time between this initial announcement and it’s release first release in 2017 however initial perception and reaction to a massive shift in direction should and will generate debate…this is my take from a vCAN point of view. Let me start by saying that this is a huge huge deal and can not be underestimated in terms of it’s significance. If I take my vCAN hat off, I can see how and why this was necessary for both parties to help each other fight off the growing challenge from Microsoft’s Azure offering and the upcoming Azure Stack. For AWS, it lets them tap into the enterprise market where they say they have been doing well…though in reality, it’s known that they aren’t doing as well as they had hoped. While for VMware, it helps them look serious about offering a public cloud that is truly hyper-scale and also looks at protecting existing VMware workloads from being moved over to Azure…and to a lesser extent AWS directly. There is a common enemy here, and to be fair to Microsoft it’s obvious that their own shift in focus and direction has been working and the industry is taking note. 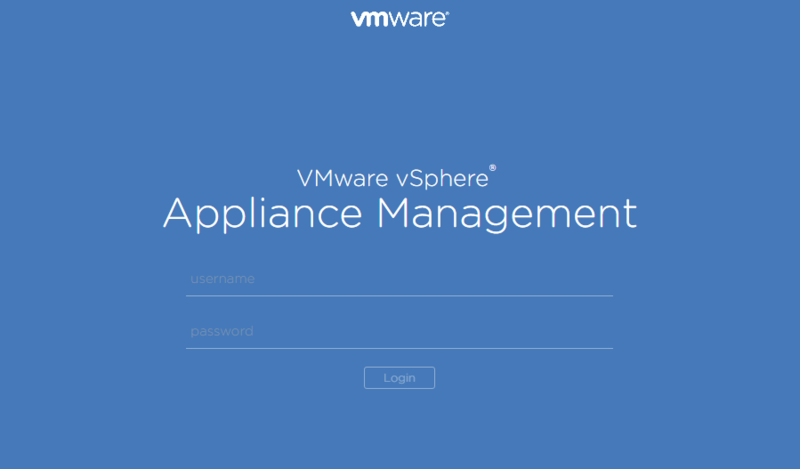 For VMware especially, it can and should erase the absolute disaster that was vCloud Air… Looking back at how the vCloud Air project transpired the best thing to come out of it was the refocus in 2015 of VMware to prop back up the vCloud Air Network, which before that had been looking shaky with the vCANs strongest weapon, vCloud Director, being pushed to the side and it’s future uncertain. In the last twelve months there has an been apparent recommitment to vCloud Director and the vCAN and things had been looking good…however that could be under threat with this announcement…and for me, perception is everything! Have a listen to the CNBC segment embedded above where Pat Gelsinger and AWS CEO Andy Jassy discuss the partnership. Though I wouldn’t expect them to mention the 4000+ strong vCloud Air Network (or the recent partnership with IBM for that matter) the fact that they are openly discussing about the unique industry first benefits the VMWonAWS partnership brings to the market, in the same breath they ignore or put aside the fact that the single biggest advantage that the vCloud Air Network had was VMware workload mobility. VMware Cloud on AWS will provide VMware customers with full VM compatibility and seamless workload portability between their on-premises infrastructure and the AWS Cloud without the need for any workload modifications or retooling. VMware Cloud on AWS works seamlessly with vSphere vMotion, allowing you to move running virtual machines from on-premises infrastructure to the AWS Cloud without any downtime. The virtual machines retain network identity and connections, ensuring a seamless migration experience. The above features are pretty much the biggest weapons that vCloud Air Network partners had in the fight against existing or potential client moving or choosing AWS over their own VMware based platform…and from direct experience, I know that this advantage is massive and does work. With this advantage taken away, vCAN Service Providers may start to loose workloads to AWS at a faster clip than what was done previously. 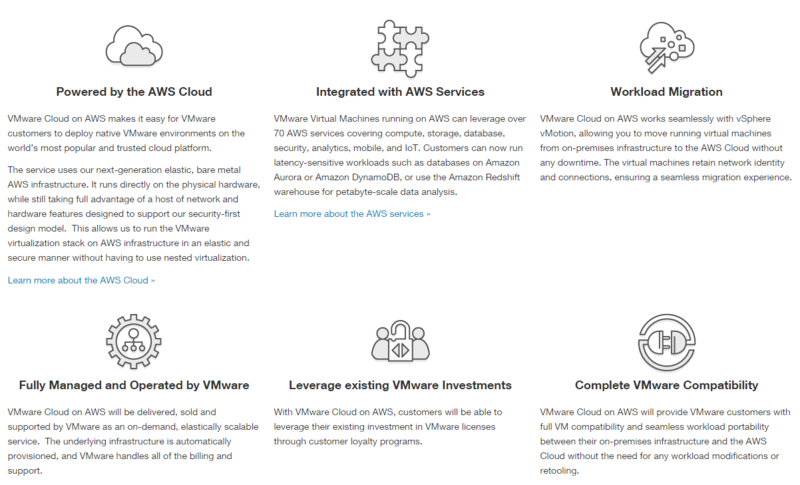 VMware Virtual Machines running on AWS can leverage over 70 AWS services covering compute, storage, database, security, analytics, mobile, and IoT. With VMware Cloud on AWS, customers will be able to leverage their existing investment in VMware licenses through customer loyalty programs. I had mentioned on Twitter that the image below was both awesome and scary mainly because all I think about when I look at it is the overlay of the vCloud Air Network and how VMware actively promote 4000+ vCAN partners contributing to existing VMware customers in being able to leverage their existing investments on vCloud Air Network platforms. In truth of those 4000+ vCloud Air Network providers there are maybe 300 that are using vCloud Director in some shape or form and of those an even smaller amount that can programatically take advantage of automated provisioning and self service. There in lies one of the biggest issues for the vCAN…while some IaaS providers excel, the majority offer services that can’t stack up next to the hyper-scalers. Because of that, I don’t begrudge VMware to forgetting about the capabilities of the vCAN, but as mentioned above, I believe more could, and still can be been done to help the network complete in the market. Right, so that was all the negative stuff as it relates the vCloud Air Network, but I have been thinking about how this can be a positive for both the vCAN and more importantly for me…vCloud Director. I’ll put together another post on where and how I believe VMware can take advantage of this partnership to truly compete against the looming threat of the Azure Stack…with vCAN IaaS providers offering vCloud Director SP front and center of that solution.